Merry Christmas from the bath house. I am fortunate to reside in Japan and partake in the ‘Onsen’ culture. These types of bath houses can be found on all four islands that make up Japan. Of course the best ones are located in areas with natural ‘hot springs’ and the actual water temperature can vary dramatically. 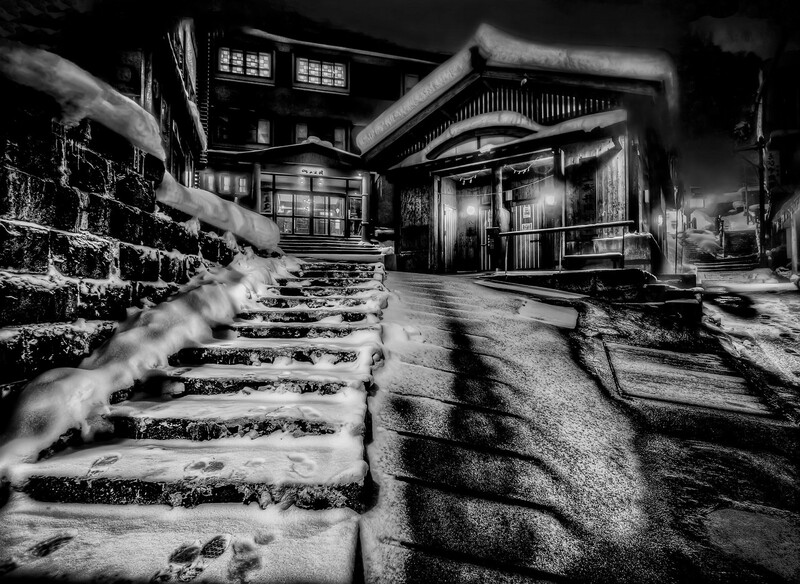 The one in the HDR picture below is located in the town of Zao in Yamagata prefecture. The water temperature in this one is 44 degrees celsius. Which means I can manage about two minutes of complete immersion before I turn bright red and pass out.